Most people associate Mercedes-Benz with luxury, class and sophistication, but that doesn’t mean it can’t get down and dirty show off what it can do outside of paved urban roads. This was the key takeaway during the premium German automobile brand’s latest campaign, which it dubbed Hungry for Adventure. 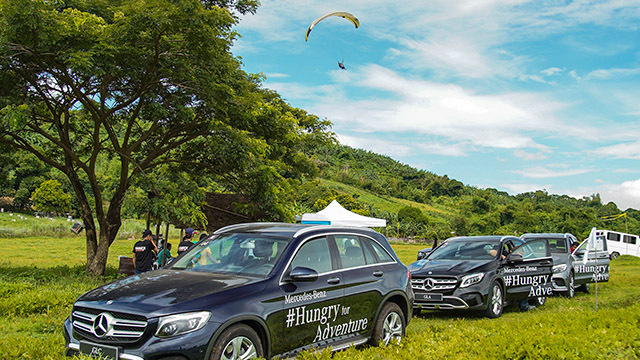 A regional media event meant to demonstrate Mercedes-Benz’s reliability and versatility alongside its reputation for luxury, Hungry for Adventure was held for the first time in the Philippines in September. The drive put the spotlight on the new GLC, a mid-size SUV that local distribution company Auto Nation Group says is one of the most popular Mercedes-Benz models in the country. SUVs in general have skyrocketed in popularity not just in the flood-prone and rough streets of Metro Manila and the rest of the country, but elsewhere in the rest of the planet. That’s no surprise, considering people naturally gravitate towards vehicles that are not just able to conquer but actually thrive in these less-than suitable road conditions. Starting with an early morning drive out of Manila and into the South Luzon Expressway, participants slowed down upon reaching the rocky, slightly muddy path leading up to the windy hills of Carmona, Cavite. It helped that the GLC is equipped with Dynamic Select which adjusts the driving mode depending on driving style and conditions—Eco, Comfort, Sport or Sport+. 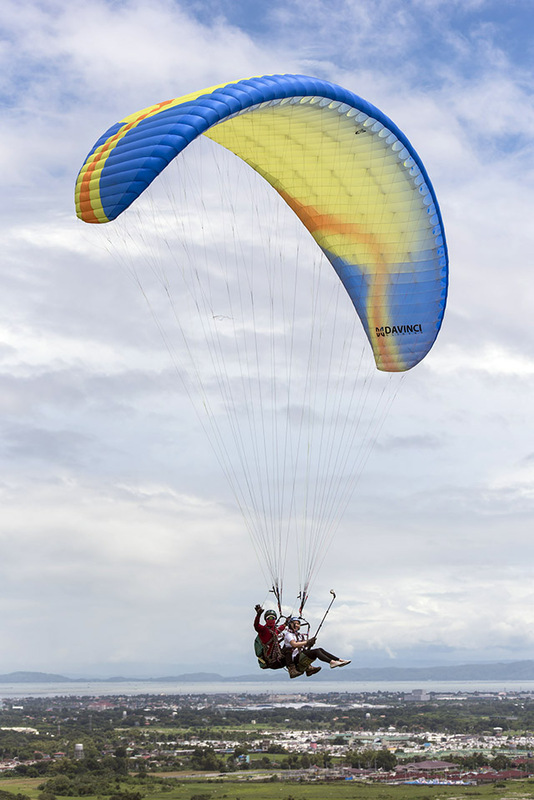 Most of the participants opted to try paragliding, an extreme sport combining elements of parachuting and hang-gliding. Afterwards, organizers set up a makeshift track on a green field to simulate off-road driving conditions, allowing participants to experience driving the GLC and how it handles the challenge. 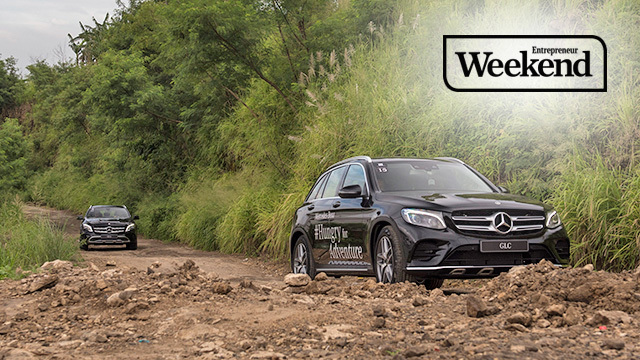 Powered by a four-cylinder engine with 9G-TRONIC 9-speed automatic transmission with an output of 184hp and 300Nm of torque, the GLC 200 Exclusive easily powered through the rough terrain like it was a regular pockmarked stretch of road on EDSA. There was an opportunity to plant trees in the area as a gesture of giving back to the community before heading on to Tagaytay, which was where participants would spend the night. Before checking in, organizers showed off two nifty features of the GLC: the Active Parking Assist feature, where driver-assistive technology helps drivers maneuver into parallel and perpendicular parking spaces with ease; and Intelligent Light System, a technology that self-adjusts the beam direction and light distribution of the headlamps to give the driver enhanced visibility on the road. The next morning, it was a short drive to the shores of Taal Lake in Talisay, Batangas, where the day’s activities included a boat trip across the water and a hike to reach the volcano’s crater. Although it was an early start (most participants were up before dawn), the sun quickly made its presence felt: the mid-morning heat made the trek across the mountain even more grueling. But one hour later, those who finished the hike were rewarded with spectacular views of the jagged cliffs and clear, still lake of the country’s (and supposedly the world’s) smallest active volcano. Mercedes-Benz certainly got it right when they named the campaign Hungry for Adventure: for many city folk used to the stresses of the daily grind, an appetite for the unexpected can help inject some much-needed energy and inspiration and help make life itself just a bit more bearable.